Pears, ovals, marquises, and round diamonds come together in pitch perfect harmony to create this spectacular diamond bracelet. Magnificently handcrafted in 18 karat white gold, this piece boasts a combined weight of 21.05 carat total weight. This piece is an attention-grabber! I don�t care what is going on � all eyes will be on this triple row of blazing white diamonds. 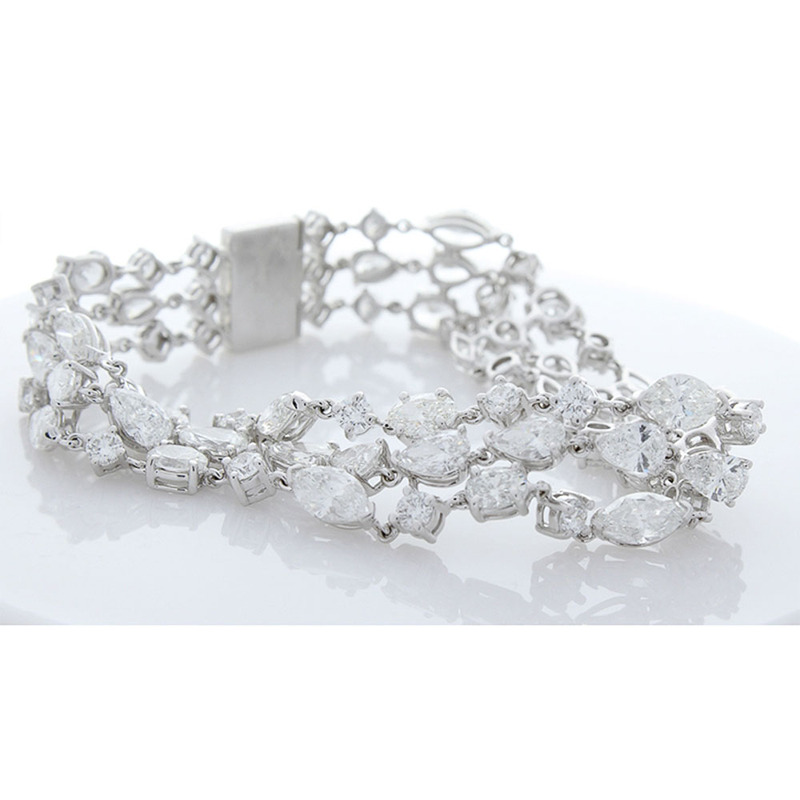 This bracelet wraps luxuriously around the wrist and moves with the fluidity of water.